Although born in Wisconsin, Ryan was raised and has spent most of his life in Central Florida. He is a graduate of Polk State College and also attended Florida Southern College, both in Lakeland. 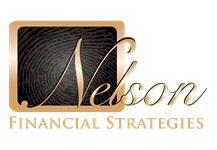 Ryan's affiliation with Nelson Financial began after he attained his Life, Health, and Variable Annuities license in 2008. He has since obtained the Series 6 securities license and the Series 65 license as a Registered Investment Advisor Representative. Ryan currently works alongside Jimmy Nelson as a financial advisor serving existing clients and developing new client relationships. He specializes in comprehensive financial solutions and wealth protection. Additionally, he is very knowledgeable in the field of advanced planning for funerals, cremation, and veterans' cemetery benefits. 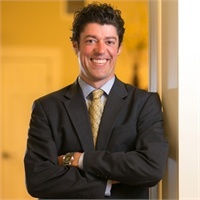 Ryan enjoys providing guidance to the individuals, families and veterans that look to him for assistance with their distinct planning needs. An avid public speaker, he is also available for seminars or workshops pertaining to these topics. Much of Ryan's success is attributable to the training he received from his mother, Lisa Bates, who is also a long standing member of the Nelson Financial Strategies team. Often working together, Ryan and Lisa make quite the "Dynamic Duo." He is known for having never met a stranger and as the "A Player" that any golf scramble team wants in their foursome.